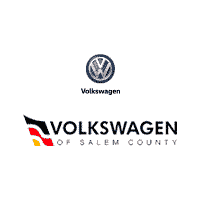 Volkswagen of Salem County has been family owned and operated in Southern New Jersey since 1952. Originally Avis Volkswagen, the Catanese Family took over in December of 2011. We believe in this community, and we want to supply you with the best customer service and the best vehicles available. We have chosen wisely with the Volkswagen brand, and we are happy to provide them to you right here in Monroeville, New Jersey. This is the team that can get you into your next new or pre-owned vehicle. Speaking of pre-owned, our team has also been involved in the used car market since the ’60s! If anyone knows what your trade is worth it’s us. We will give you top dollar for your vehicle. We will take the time to listen to you and find out your needs. This means that we can actually find what you are looking for as opposed to pressuring you into something that you do not want. And we sell more than just VW vehicles! Come to Volkswagen of Salem County, where the perfect vehicle is just around the corner. At Volkswagen of Salem County, we have you covered. We have all the new Volkswagen vehicles that you could ever want including the Passat, Jetta, and Golf models. We want you to find everything that you could ever ask for right here. That is why we also have an impressive selection of used vehicles that is bound to have something that will interest you. What kind of a dealership would we be if we stopped there? We are about preserving the amazing Volkswagen experience, and in order to do that, we had to make a service center that can handle your every VW need. We can take care of everything from oil changes to transmission swaps. We will always give your Volkswagen the very best in service. Come to Volkswagen of Salem County the next time you need anything from the Volkswagen brand, whether it’s something new, something pre-owned, or just some service. Nothing can quite compare to a new Volkswagen. These vehicles have been designed from the ground up to give you the ultimate road experience. Their look is iconic, their performance is undeniable, their practicality is refined, and their comfort is unmistakable. When you get behind the wheel of a Volkswagen you know it, and other people know it too. VW has a strong community of owners and enthusiasts. When you drive one don’t be surprised if you get waves, nods, and looks that you have never gotten before. You need to come to Volkswagen of Salem County and see all the great Volkswagen vehicles that we have here on our lot. We have the models that you want to drive including Jetta, Passat, Golf, Beetle, Tiguan, Touareg, and the CC. Come to Volkswagen of Salem County to buy or lease your next dream ride. We promise that you’ll have fun. It may seem like you can get a used car just about anywhere, but at Volkswagen of Salem County, you can get a cut above the rest. We want you to have the best-used options available in the area. We have taken the time to build up a great used inventory just so that you would have the options that you need when you are out there car shopping. Every one of our used vehicles has been carefully inspected to ensure that it is only of the highest quality. You should not have to drive around in anything that lacks safety or reliability. Instead, trust in one of our used vehicles to get you where you need to go. We even have many pre-owned Volkswagen vehicles that are bound to sweep you off your feet. The time to shop through our used inventory is now. Our service department is among the best in the entire region for customer satisfaction. If a customer is satisfied with our service it not only means that we treated them right, but it also means that we got their service done right. You should come to us with all of your Volkswagen service needs. We can handle anything that may be wrong with that VW of yours. We know how to fix your Volkswagen the right way. Even something as simple as an oil change can very easily mess up your car if you trust in the wrong people. Let us work with you and your vehicle to deliver that same great ride that you fell in love with in the first place. Don’t trust the parts of your VW to anybody else. At Volkswagen of Salem County, we will always be able to get you the parts you need. When it comes to your Volkswagen, you want to make sure that you are using genuine OEM parts. These are the same parts that Volkswagen relied on to build your car when it was new, and they are the best parts to make sure that your VW is ready for the road. With our huge parts inventory, you can almost always find what you need right here. What we do not have we can order for you and ensure that it gets here quickly. Our team can even install those parts for you so that you do not have to. We want you to know that all your parts and service needs are covered right here at Volkswagen of Salem County.